We are situated in Kinning Park, a short 5 minute walk from the nearest subway station. Ryze Glasgow is the boldest Xtreme Air Sports park in the west coast of Scotland. Constructed in an old 18th century b-listed building, we have some awe inspiring architecture for you to defy gravity under. 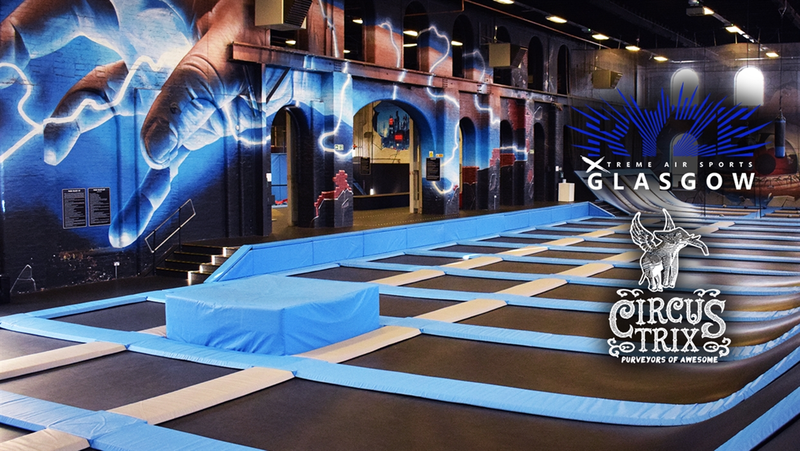 Get the adrenaline rush you've been looking for with our awesome state of the art facilities which sit on just under 19,000ft2, including an incredible world-class trampoline field with our famous angled wall trampolines, or check our our superb Xtreme Dodgeball cage! For the thril seekers amongst you, we have recently redeveloped some of our park to now include Super Tramps which will really let you fly, alongside an Airtrack for all you gymnasts out there, and a giant Airbag!